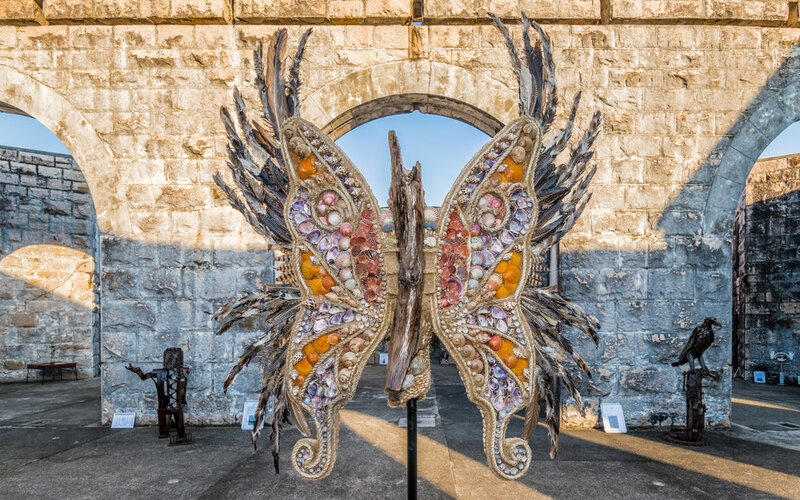 Applications are now open for the 2019 Sculpture in the Gaol exhibition from Saturday 3 to Friday 30 August 2019 at Trial Bay Gaol, as well as for the Escapee Trail, in which sculptures are situated in businesses across the Macleay Valley from early June, through to the end of August. Entries for the exhibition close 5pm Friday 14th June. Entries for the Escapee Trail must be submitted by Friday 17th May. 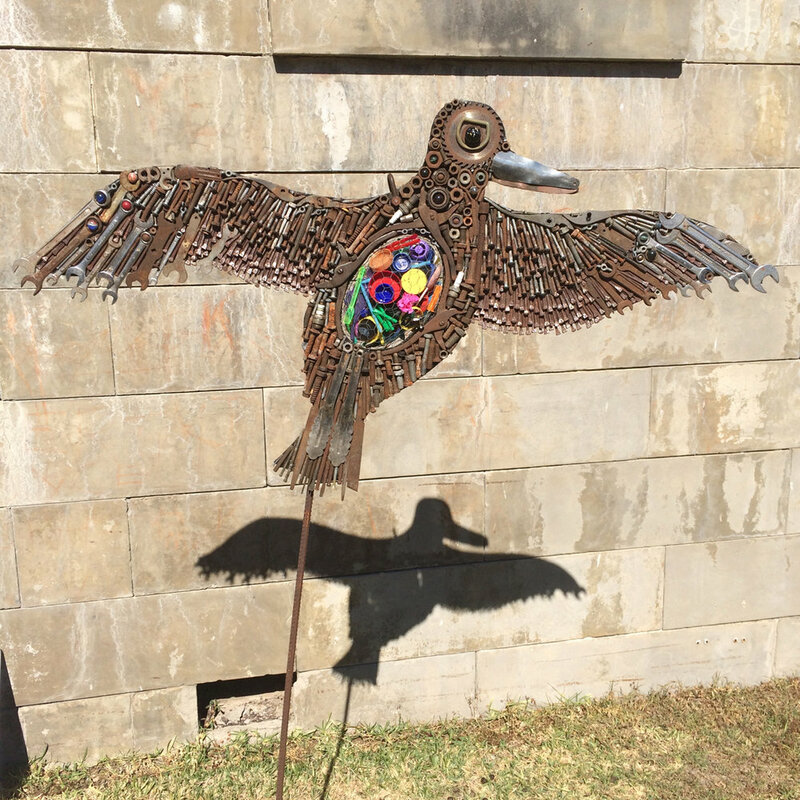 We do not stipulate a theme for works submitted to for Sculpture in the Gaol. We encourage and delight in discovering the expansive range of ideas conveyed by artists through their work. Nevertheless, there are two perpetual themes to which artists, schools and community arts groups may respond. 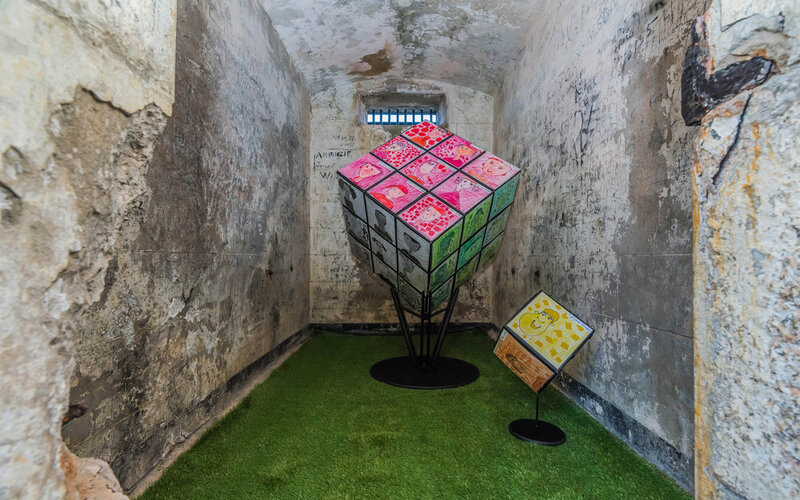 Works that respond to and reflect the prolific artistic output of German interns confined to Trial Bay Gaol during the First World War, exploring the ways in which creativity flourishes despite physical constraints. Works that demonstrate our respect for the natural environment or acknowledge the complex and subtle ways eco-systems support all life, especially our own. Trial Bay Gaol is situated within a national parks reserve. How can we reduce dependence on plastic goods and unsustainable consumption to help preserve this natural environment? (To be at least 1 paragraph in length but no longer than half an A4 page). What inspired you to create your work and how long did it take to construct? What does it represent? What does it mean to you and does it have a story to tell? I have read and agree to act in accordance to the terms and conditions of entry.